The cranial cruciate ligament (CrCL) is one of a dog’s most important stabilizers that are found inside the stifle joint. The human equivalent is the anterior cruciate ligament (ACL). This ligament prevents the tibia from thrusting forward and internally rotating as well as position sensing through the golgi tendon apparatus located within the cranial cruciate ligament. A CrCL rupture causes pain and dysfunction of the hind limb. What causes cruciate injury or tear? Dogs are more prone to CrCL than cats, especially with some of those that are hyperactive. 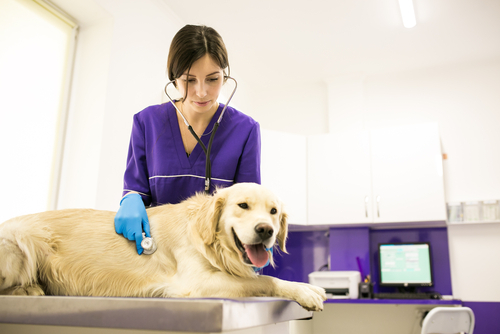 Certain breeds, such as Golden Retrievers, Labrador Retrievers, Newfoundlands, and Rottweilers, are also predisposed to the disease. So preventive measures are necessary. Being overweight is a risk factor, so keeping dogs at a healthy weight is ideal. It is also important that they remain in good physical condition for the ligament to survive strenuous activities. 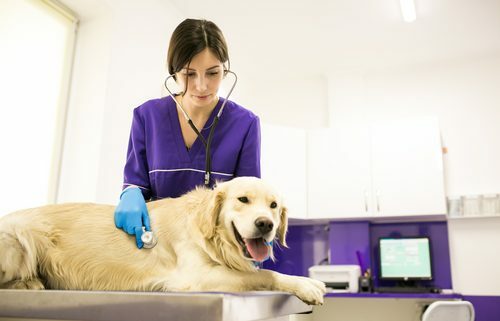 Over 50% of canines that suffer from degenerative cranial cruciate ligament disease in one stifle are likely to develop the same problem in the other one. Dogs presenting with bilateral CrCL issues may still display a unilateral lameness but may also adopt a kyphotic stance (forward weight shifting). Be unwilling to stand for any length of time and thus lay down much more frequently, have a decreased activity level, have difficulty rising and may be slow to sit down. Although cats are rarely affected by cruciate injuries, the risk of it happening should not be dismissed lightly. How cats tear their CrCL is similar to how humans tear their ACL which is from a traumatic injury. Cats who love to jump from high places may be at risk of a cruciate tear. The condition can also happen if their legs get caught in something or when they are playing roughly. Similar to dogs, obese cats are likely to get cruciate ligament disease. Because a ligament tear can lead to pain, arthritis, or loss of full function of the affected limb, it must be treated appropriately. Appropriate treatment methods (TPLO, extracapsular repair or conservative management are all discussed at our workshops. This is where joint stability is achieved by placing a strong suture line outside of the joint. This will keep the knee joint stabilized enough for normal knee movement. Best for smaller dogs.